Further details have emerged about the iconic new Principal hotel in Bloomsbury London, as the property pins down its opening date for early 2018. The newest addition to the Principal portfolio, the 334-bedroom Principal London is the transformation of the former Hotel Russell, a Grade-II listed building in Russell Square Bloomsbury. The hotel is being designed by Tara Bernerd & Partners and Russell Sage Studio and the interiors with pay homage to the building’s ‘illustrious’ history. 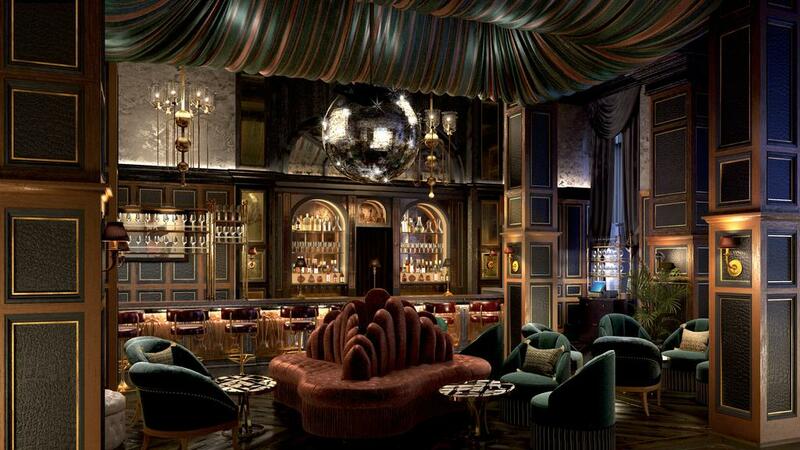 At the heart of the hotel will be Palm Court, dubbed a ‘true oasis in the city’, which will sit alongside The Principal London’s grand listed ballroom. Neptune will be the restaurant at the hotel, in partnership with Brett Redman and restaurateur Margaret Crow who will bring together ‘informal flair’ from their Borough Market Elliot’s restaurant and Richmond gastropub to create a ‘Bloomsbury Salong’ for the modern day. Cocktail bar Fitz’s and Burr & Co coffeehouse will complete the F&B offering at the new hotel. All 334 bedrooms have been designed by Tara Bernerd & Partners and will be home to signature in-room Principal touches, such as the red bedside telephone and the tuck-box of treats. This opening of The Principal London is the latest offering from urban lifestyle hotel group, Principal, with recent openings in Edinburgh, Manchester and York following the sensitive restoration of historic hotels. The collection also includes hotels in Cardiff, Glasgow, Leeds and Oxford, with plans in place to open in Birmingham and Liverpool.